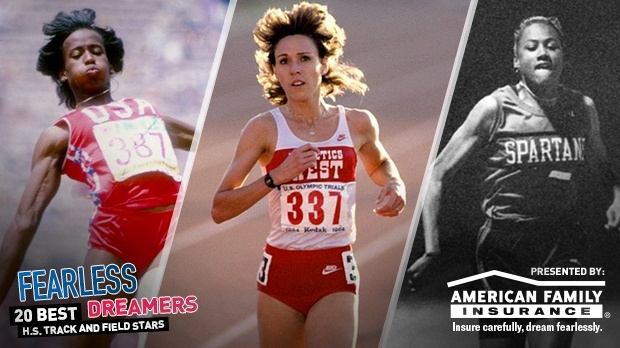 With the movie McFarland, USA set to hit theaters on Feb. 20, MileSplit and Flotrack wanted to take a look at some of the best high school track and field stars over the years, presented by American Family Insurance. McFarland, USA is based on the true story of coach Jim White, who in 1987 coached a group of athletes from a small town in California and turned them into cross country legends. Mary Decker (later Decker Slaney) is the original high school phenom. 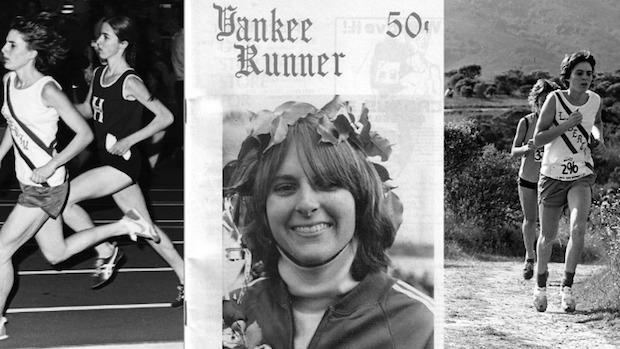 The middle distance star set her first of 17 world records at 14 years old with a 4:40.1 indoor mile, but was deemed too young to compete in the 1972 Olympics. 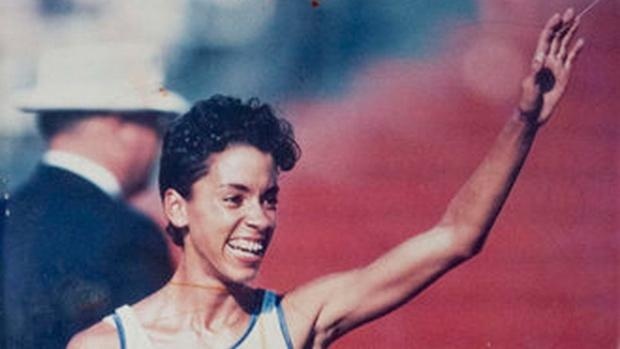 She went on to compete in four Olympic Games and set a total of 36 American records in every distance from the 800 meters to the 10,000 meters. She still holds the American standards in the 1,500m (3:57.12), mile (4:16.71) and 3,000m (8:25.83). Decker Slaney was named Sport Illustrated's Sportsperson of the Year in 1983 after winning both the 1,500m and 3,000m at the inaugural IAAF World Championships in Helsinki. In both name and speed, Mary Cain has established herself as the second coming of Decker Slaney. The teenage speedster turned professional as a senior in high school after earning a laundry list of accolades more befitting to an athlete twice her age. She holds National High School Records for 800m (1:59.51), 1,500m (4:04.62), 3,000m (8:58.48), 5,000m (15:45.46) and the Indoor 2 Mile (9:38.68). The half mile record is particularly impressive as Cain became the first American female prep to break two minutes. At just 17, she finished runner-up in the 1,500m at the 2013 USA Outdoor Track and Field Championships to become the youngest American to ever represent the United States at the World Championships. A few weeks later, she became the youngest athlete ever to make an IAAF World Championships final in Moscow. In her first year as a pro, the 18-year-old Cain won the USA Indoor Track and Field Championship for 1,500m, finished runner-up in the distance at the USA Outdoor Track and Field Championship and won the 2014 IAAF World Junior Champion for 3,000m. She trains with the Nike Oregon Project. Sanya Richards is one of the few athletes to hold both the National High School Record and senior American Record in one event, her signature race - the 400 meters. Richards (now Richards-Ross) starred in five events as a prep - the 100m, 200m, 400m, high jump and long jump. But her 50.69 400m record foreshadowed her later quarter mile prowess as she went on to set the American record of 48.7. Richards, the 2002 Gatorade Track & Field Female Athlete of the Year, is a four-time Olympic gold medalist and five-time IAAF World Championship gold medalist. 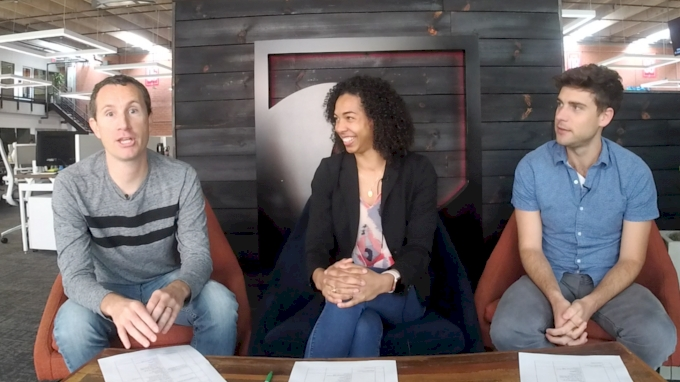 She trains in Austin, Texas and competes for Nike. The 2003 Track & Field News High School Athlete of the Year and Gatorade National Athlete of the Year ran 22.11 for 200m at altitude in Mexico City, Mexico, which still stands as the National High School Record. The five-time CIF State Champion and 2001 World Youth Champion for 100m progressed straight from the prep ranks to the professional level of track and field, where she has tallied four Olympic gold medals and nine IAAF World Championship gold medals. She trains in California. Despite the steroid scandal that marred her professional career, Marion Jones' prep days still stand as some of the most storied in high school sports history. The Californian won the CIF State Finals in the 100m a record four years straight and was selected as Gatorade Track and Field Player of the Year three years in a row. As a junior in high school, Jones made the 1991 Olympic Team as an alternate for the 4x100m relay. Her 11.14 100m is the best-ever mark in a high school-only competition. She was also a basketball star and was named the California DI Player of the Year as a senior in 1993, after averaging 22.8 points and 14.7 rebounds as a guard on her 60-4 team. She accepted a full scholarship to play basketball at the University of North Carolina at Chapel Hill. Monique Henderson is the only Californian to win the 400m CIF State Championship four years in a row. 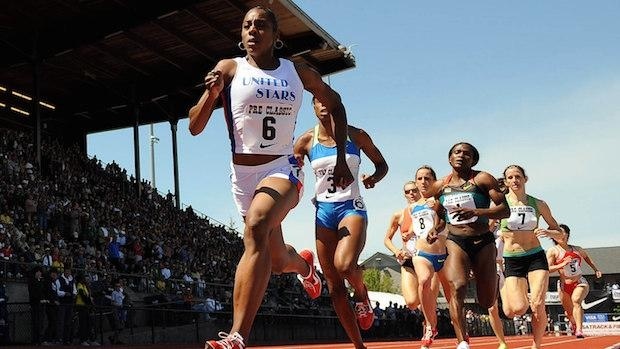 The 2000 Track and Field News "High School Athlete of the Year" became the first prep to make the U.S. Olympic team that year since 1976; she had just finished her junior year. Henderson went on to set the National High School Record of 50.74 and NCAA record 50.10 for 400m (both since broken), as well as win the 2005 NCAA outdoor championship at the distance. She won two Olympic gold medals as part of the 4x400m relay teams at the 2004 Athens Games and 2008 Beijing Games. 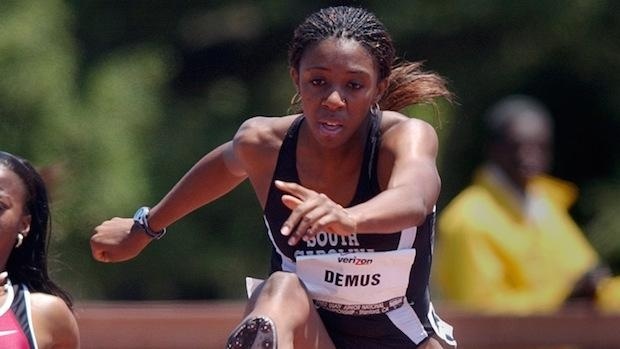 With her National High School Record of 39.98, Lashinda Demus is the only prep female in history to break 40 seconds in the 300-meter hurdles in 2001. 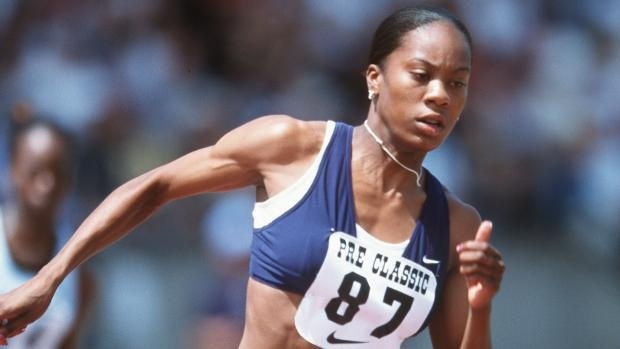 That wasn't nearly the only record that Demus set as a prep at Long Beach Wilson - she paired with teammates to set the 4x400m National High School Record in 1998, then again in 2001. She graduated as a Track and Field News All-American in five events (100m hurdles, 300m hurdles, 4x100m relay, 4x400m relay, Sprint Medley Relay). The twice-named Track and Field News "High School Athlete of the Year" went on to win the NCAA Championship and IAAF World Junior Championship in the 400-meter hurdles as a freshman at the University of South Carolina. She turned pro in 2004 after qualifying for her first Olympics; she won silver at the following year's IAAF World Championships in Helsinki. After giving birth to twin boys in 2007, Demus again won silver at the 2009 World Championships in Berlin. But it was 2011 when she garnered the American record to go with her National High School Record; she set the 400-meter hurdle standard of 52.47 and won gold at the World Championships in Daegu. She trains and raises her family in California. The four-time Olympian and six-time Olympic medalist won gold twice in the heptathlon, making her one of the most well-rounded athletes ever. Sports Illustrated for Women voted Jackie Joyner-Kersee the Greatest Female Athlete of the 20th Century. But Joyner was a star from a young age, winning her first of four consecutive national junior pentathlon championships at age 14. 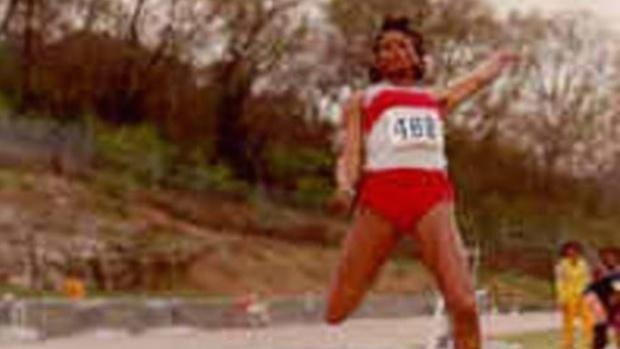 She made her first major appearance on the national senior circuit as a high school senior, qualifying for the finals of the 1980 Olympic Trials and finishing in eighth place. Joyner-Kersee is the American Record holder in the long jump (24-7) and the heptathlon (7,291 points). In 1993, Amy Acuff set the National High School Record in the high jump at 6-4, a mark that still stands, and was named Track and Field News "High School Athlete of the Year" - all without a coach during her prep years. She won her first senior USA Outdoor T&F title as a 20-year-old in 1995; she owns a total of six outdoor national titles and five indoor national titles. She is a five-time Olympian and seven-time IAAF World Championships finalist, making her most recent Olympic team after giving birth. She trains in Austin, Texas. Suzy Favor started running at age 9 and quickly found her stride. She set the U.S. Junior Record for 1,500m at 4:18.62 (since broken) and won three straight National Junior titles in the distance as a prep. Favor was inducted into the U.S. National High School Sports Hall of Fame in 2010. She found immediate success as a Wisconsin Badger, racing to a record nine NCAA titles and 32 Big 10 Championships. As a professional, Favor (later Favor-Hamilton) won seven USA National titles, set two American Records and competed on three Olympic teams. Desiree Freier lost only once during her senior year of high school in a December rust-buster. But the Texas phenom didn't look back, as she vaulted to three consecutive Texas State Championship titles, back-to-back New Balance Indoor and Outdoor Nationals titles, as well as the 2014 USATF Junior Nationals title over collegiate competition. She set the High School National Record for both indoor (14-2.75) and outdoor (14-7.25), the latter en route to a runner-up finish at the 2014 IAAF World Junior Championship. 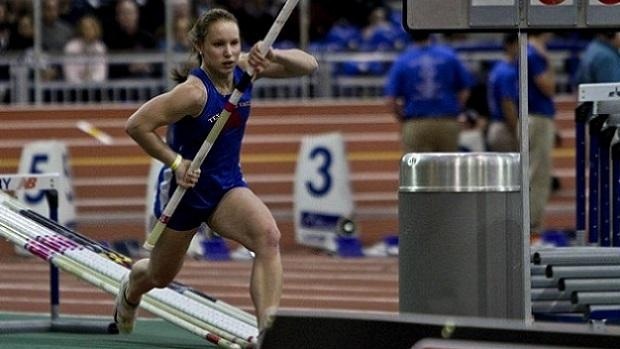 Freier currently competes at the University of Arkansas, where she has cleared 14-2.5 so far this season. Raven Saunders nearly swept the throwing events at the state level throughout her prep career. 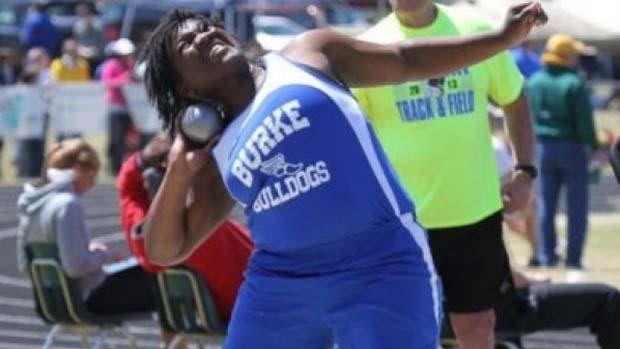 She graduated high school in 2014 with four straight South Carolina State Championship titles in the shot put and three in the discus. She also won back-to-back New Balance Indoor and Outdoor Nationals titles in the shot put, her specialty event, in which she also owns the National High School Records for indoor (56-7.5) and outdoor (56-8.25). Saunders earned runner-up honors at the 2014 IAAF World Championship in the event. As a freshman at Southern Illinois, she has already broken the American Junior Record with an NCAA-leading mark of 59-0.25. Polly Plumer's 4:35.24 Mile is one of the longest-standing National High School Records. No one has bettered her mark since she set it in 1982. Plumer also won three consecutive 1,600m titles at the CIF California State Meet, a feat that has been duplicated only by Kira Jorgensen. Her senior year winning time of 4:39.82 stood for 25 years before Christina Babcock bested it. 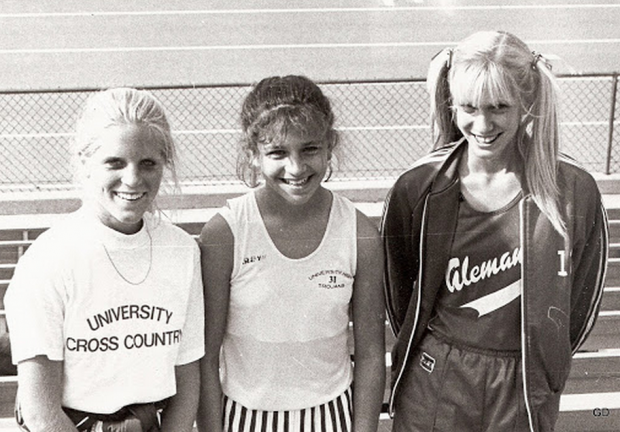 Plumer was a leader of one of the best high school girls distance programs in history, as University has held the 4x1,500m National High School Record of 18:52.50 since 1982. 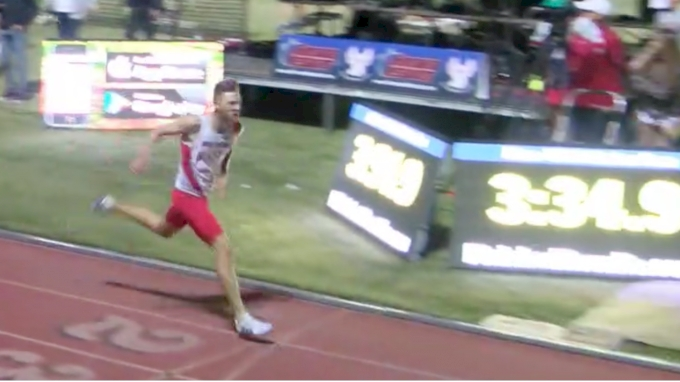 In that race, Plumer split 4:28.1. Plumer later earned multiple All-American honors at UCLA and competed in the 1988 and 1992 Olympic Trials. 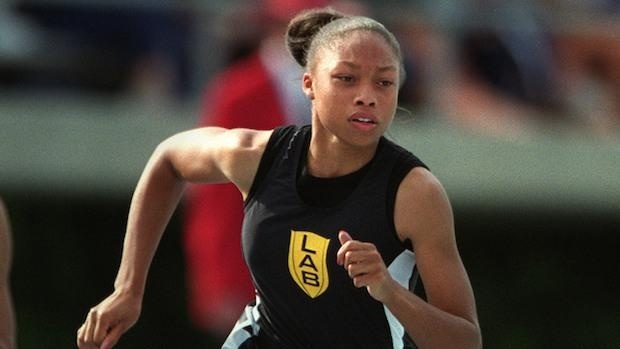 Shalonda Solomon was twice named the Gatorade National High School Female Athlete of the Year in 2003 and 2004 as the anchor of Long Beach Poly's stellar relay squads. Her relay still holds the National High School Record in the 4x100m (44.50), 4x400m (3:35.49) and 800 Sprint Medley Relay (1:38.73). As a senior in high school, Solomon won USA Juniors in the 100m and 200m. She went on to win three NCAA titles at the University of South Carolina. In 2011, she won gold at the USA National Championship in the 200m and won silver at the IAAF World Championships in Daegu. The longest-standing National High School Record belongs to Kathy McMillan, who jumped 22 feet, three inches as a senior in high school. 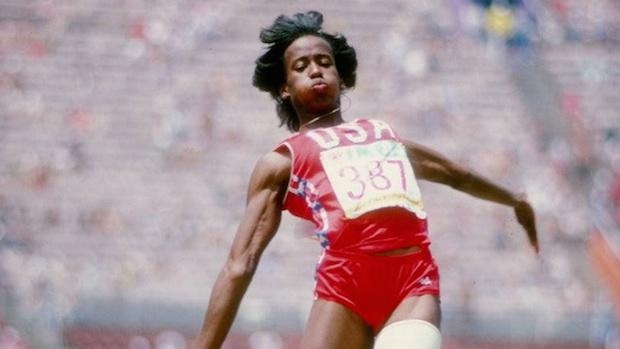 That summer, she finished runner-up as an 18-year-old in the senior division of the USA Track & Field Championships and qualified to represent the United States at the 1976 Summer Olympics, where she won the silver medal. McMillan went to compete at Tennessee State University and won gold medals at the 1979 and 1983 Pan-American Games as well as the 1980 Olympic Boycott Games. Lynn Jennings' small private high school did not field a girls' track team, but that didn't stop the New England runner. She competed in the boys league meets and trained with the Liberty Athletic Club, boasting times of 4:18 for 1,500m (a National High School Record at the time), 4:39 for the mile and 10:10 for two miles. She went on to compete for Princeton and later, as a professional, win the USA Cross Country Championship a record nine times as well as the IAAF World Cross Country Championship three times. Jennings' bronze medal in the 10,000m at the 1992 Summer Olympics made her the first American female to win a distance track medal. Jordan Hasay's record-setting racing career started before she even entered high school, as she set USATF Junior Olympic records at 4:28.61 for 1,500m and 9:35.12 for 3,000m as a middle schooler. She became just the second freshman ever to win the Foot Locker Cross Country Championships, gaining fame for her trademark hip-length blonde ponytail. As a junior, Hasay broke the then-National High School Record for 1,500m (4:14.5) in the semifinals of the Olympic Trials. She repeated her Foot Locker victory as a senior in 2009, becoming the first-ever runner to win twice in non-consecutive years. In 2009, Hasay became just the third female high schooler ever to grace the cover of Track and Field News magazine. She was unanimously voted the magazine's 2008 Girls High School Athlete of the Year in 2008. 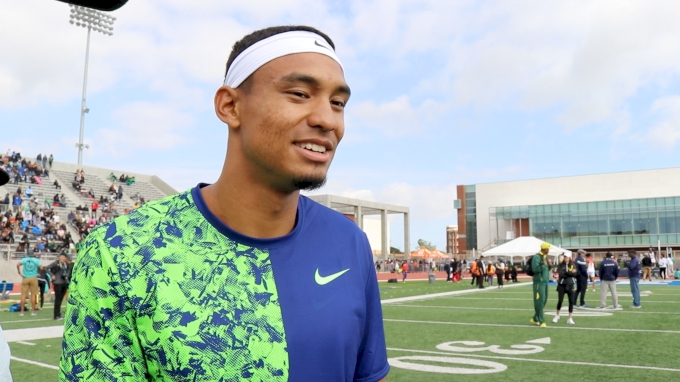 Hasay aided the University of Oregon to several NCAA Championship titles and currently runs for the Nike Oregon Project. She represented the United States in the 10,000m at the 2013 IAAF World Championships and has twice placed runner-up in the distance at the senior level USA Nationals. 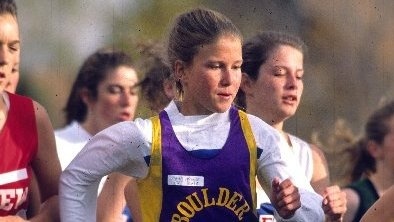 Fairchild started her running career at age 10 and quickly became a high school phenom in long distance races. She won the competitive Bolder Boulder race three consecutive times and was a two-time Foot Locker Cross Country National Champion. She went on to compete for the University of Oregon, where she earned All-American honors in cross country and won the 10,000m Pac-10 title and 3,000m NCAA title in 1996. She qualified for the 1997 IAAF World Championships in the 5,000m and competed twice in the Olympic Trials. 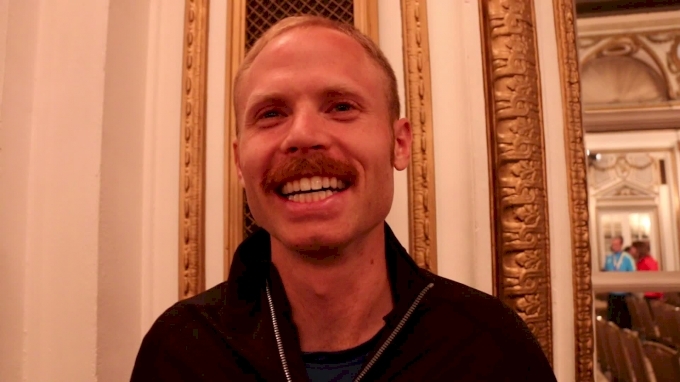 Fairchild was inducted into the Colorado Running Hall of Fane in 2008. 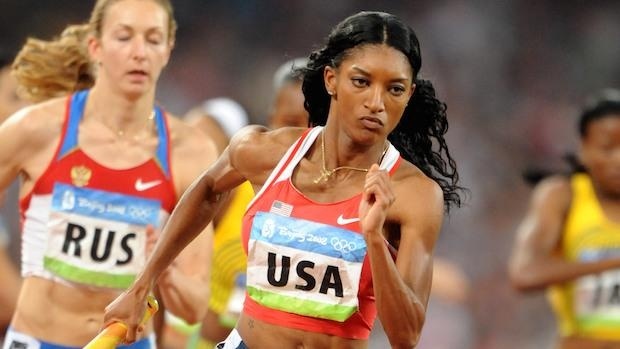 Before she was the 2014 IAAF World Indoor Champion at 800 meters last year as a pro, Chanelle Price's best moment or year may came in 2008 when she was selected as the US Girls High School Athlete of the Year. That year, the native of Easton, Pennsylvania ran against the pros as a high school senior in the Prefontaine Classic and ran a then US #2 all-time performance of 2:01.61. The previous summer as a 16 year old, she had made it all the way to the finals at the US Outdoor Championships in the 800 and won the Nike Outdoor Nationals title prior to a final year of high school that ended competing in the U.S. Olympic Trials as a senior. In between her high school and pro career, Price starred at the University of Tennessee earning NCAA All-American honors individually and in relay action. Price ran on the American record setting 4x800 meter relay (8:17.91) for the Lady Vols. A 12-time state champion in Pennsylvania, Kim Gallagher posted 4 state records in her accomplished career at Upper Dublin High School. Gallagher also established a once assumed unbreakable national high school record in the girls 800 of 2:00.07, which her performance in 1982 lasted as US #1 all-time until Mary Cain took it down in 2013. Her high school career was simply a springboard to later greatness in the next two Olympic Games as she scored medals with a silver in the 1984 Olympics in Los Angeles as well as a bronze in the 1988 Olympics in Seoul. Gallagher's 1988 Olympic race would be her fastest performance ever at a remarkable 1:56.91 effort. A time that still ranks #3 all-time in American history. She tragically passed away due to cancer at the young age of 38 in 2002.